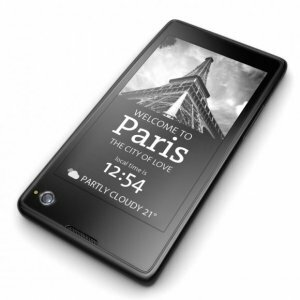 Over a year ago there were news about a Russian phone from the manufacturer Yota, which will have a e-ink display. The smartphone is now available for purchase in Russia and some European countries. The front screen is 4.3″, the e-ink display is located on the back end of the device and has a resolution of 640 x 360 pixels. It has the purpose to show everything from the primary front display, but with low power consumthion, thus extending its usage from one charging to the other. E-inc can be found in ebooks for its usefulness of displaying static images. There 500,000 YotaPhones available for purchase in Russia, Germany, France, Austria and Spain. In January you will be able to buy it in UK, Greece, Czech Republic and Cyprus. Samsung Galaxy S6 screen edge problem? Not really! Did you know that all Vertu phones are handmade? Cleo Crummedyo on Samsung Galaxy S6 screen edge problem? Not really!